Here you can find information about Antigua mooring, dockage, fuel or repair services, diesel engine, generator supply and repair, precision fabrication and welding, marine engines, parts, service, management and storage, spare parts, servicing, electrical repair & installation, boat maintenance or paint & materials, provisioning, massage & on yacht services. Antigua has quality craftsman and marine related services. A & B YACHT WORKERS ASSOCIATION guarantees quality services, consistent standards and security for vessels visiting Antigua who need day work completed while in Antigua. ANCHOR CONCIERGE & SUPER YACHT SERVICES is a full yacht agency service based at Falmouth Harbour Marina, Antigua offering an unparalled level of service to visiting super yachts. ANTIGUA YACHT SERVICES provides you with professional service in Antigua whether you own, run or crew on a yacht, or are looking to buy or charter one. BRYSONS SHIPPING & INSURANCE A full-service insurance agency offering coverage on all classes of insurance through NAGICO and a network of insurance providers in the London and US markets. BUDGET MARINE strives to make your boating experience better by providing the best products for your needs. Our knowledgeable and enthusiastic staff is ready to help at one of our three locations, in the Jolly Harbour Marina Complex, in English Harbour and North Sound. Come in and find out why we are known as The Caribbean’s Leading Chandlery. BWA YACHTING ANTIGUA provides an all-encompassing range of services to the superyacht industry, including immigrations and customs assistance, provisioning and concierge services, berth reservations, bunkering and crew placement. CARIBBEAN BROKERAGE are Yacht Brokers serving the Eastern Caribbean with offices conveniently situated in English Harbour, Antigua in the heart of the Leeward Islands, and St Georges, Grenada serving the Windward islands. CRAB HOLE LIQUORS & SUPERMARKET is the place to shop for great wine, spirits and produce and is open 7 days a week. There are two outlets in conveniently at Cobbs Cross & Nelson's Dockyard & they offer free delivery for large orders. DEPT. OF MARINE SERVICES & MERCHANT SHIPPING represents a cohesive body with a modern national legislation, which seeks to enforce the international requirements into the various ship activities. FALMOUTH HARBOUR MARINA is located at the home of Antigua Sailing Week & Classic Yacht Regatta & is a full service marina specialising in berths for larger yachts. ICE LTD. designs and implements network solutions for you and your business whether on sea or shore. They offer several solutions including Marine Electronics, AV Installations, Security Camera Networks and much more. ISLAND PROVISION WHOLESALE provides wholesale provisioning for your Antigua hotel, restaurant, supermarket or yacht. MARINE POWER SERVICES (M.P.S.) offer Diesel engine/generator supply and repair, precision fabrication and welding and is your Antigua distributor for Cat Marine Power, Yanmar & Kohler Power Systems. 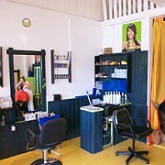 MARIONICS CARIBBEAN is situated by Falmouth Harbour. The owner Arougoo has over 20 years electronics & electric supply service, equipment and installation experience including satcom, radar & navigation systems. They are also an authorized service center & support center for many manufacturers. QUIN FARARA & COMPANY LTD. is open to both to public and trade we offer a wide range of fine wines, cigars, tobacco and spirits which is second to none in Antigua. They are distributors of many major brands including Moet Hennessey & Perrier. WOODSTOCK BOATBUILDERS world-class, luxury yacht refitting services delivering stunning results for over 20 years. YAMAHA OUTDOOR WORLD takes you off the beaten track, whether on or off the water in Antigua with ATVs and motorbikes, wave runners and boats. Outdoor World is the exclusive Yamaha dealership on island with a trained and qualified staff. We are authorised to sell many fishing and pleasure boats including Grady-White, Edgewater and Novurania inflatables- just to name a few.